And it works pretty good. 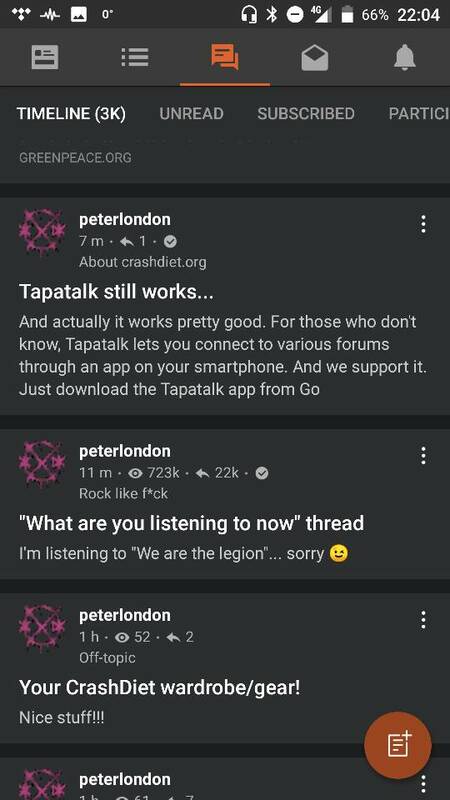 For those who don't know, Tapatalk lets you connect to various forums through an app on your smartphone. And we support it. 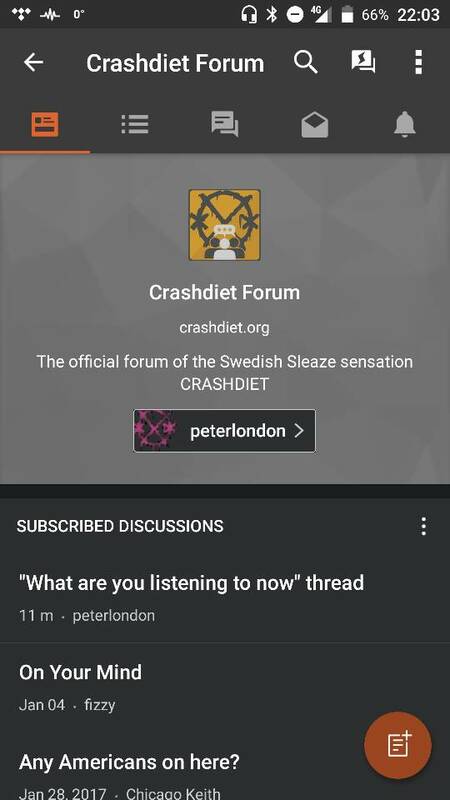 Just download the Tapatalk app from Google Play / App store, open it up and search for crashdiet and it'll work . Even notifications work, at least ocassionally. Magic . Am I the only one still using it? “Well," said Pooh, "what I like best," and then he had to stop and think. Last Edit: 1 year 3 months ago by peterlondon. peterlondon wrote: Am I the only one still using it? wouldn't even cross my mind"
I have it installed and agree that it's by far the best way to use the forum on mobile! That said, I still basically never use it because I'm stuck in the past and use desktop almost exclusively. friedoctopus wrote: I have it installed and agree that it's by far the best way to use the forum on mobile! That said, I still basically never use it because I'm stuck in the past and use desktop almost exclusively. ...even a Linux desktop if I remember correctly? You are correct, sir! Making the switch to Linux was one of the best choices I've ever made.